With the development of Aeronautics and Astronautics, the requirement of shock resistance for spacecraft and space lifesaving equipment is also increasing. A kind of impact testing machine with small acceleration and large pulse width of 5 - 15 g/100ms is designed. It can simulate the falling impact condition of space equipment better. 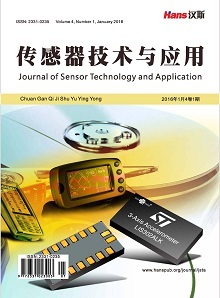 In this paper, using the PCI-6521 data acquisition card to connect control system and data acquisition system to the computer, in order to remove the noise, acceleration sensor signal conditioning circuit is designed, and the zero drift and filter module are designed in LabVIEW data acquisition. The impact testing machine has been designed and completed. The test system can reliably control the test machine, the small acceleration, large pulse width and half sine shock wave can be generated, and the shock response spectrum can be generated accurately, the shock resistance of the object is analyzed. 胡海岩, 孙久厚, 陈怀海. 机械振动与冲击(修订版) [M]. 北京: 航空工业出版社, 2002. Santiago, R., Cantwell, W. and Alves, M. (2017) Impact on Thermoplastic Fibre-Metal Laminates: Experimental Observations. Composite Structures, 159, 800-817. 张荣, 黄含军, 黄海莹, 王松. LabVIEW下冲击试验测试信号分析模块的设计[J]. 计算机测量与控制, 2015(3): 1011-1013, 1037. Niskanen, A. and Tuononen, A.J. (2015) Three Three-Axis IEPE Accelerometers on the Inner Liner of a Tire for Finding the Tire-Road Friction Potential Indicators. Sensors, 15, 19251-19263. 李和平. 拉伸、冲击和硬度试验方法国际标准的修订和问题[J]. 理化检验(物理分册), 2010, 46(6): 369-373. 都军民, 戴宗妙. 冲击响应谱在冲击试验中的应用研究[J]. 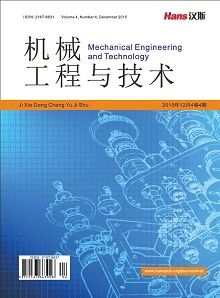 舰船科学技术, 2007(S1): 19-21. 任昌, 潘宏侠. 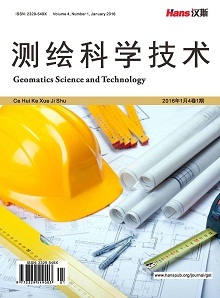 基于冲击信号的冲击响应谱研究[J]. 火炮发射与控制学报, 2010(3): 21-24. 邹婿邵. 冲击试验系统控制与数据采集研究[D]: [硕士学位论文]. 长春: 长春理工大学, 2011.